est operating system. This is particularly true for businesses that are a little upgrade-wary after investing in Vista, while others are reluctant to give up on Redmond's classic XP system. Compounding the temptation not to switch was news earlier this year that Microsoft wasn't making life easy for XPers migrating to the new OS. News in February said Microsoft was forcing users to make a clean install of Windows 7 instead of a quick upgrade, which meant backing up your data, wiping your computers by installing Windows 7, and then migrating your data back onto your system. Late last month, many breathed a sigh of relief after Microsoft solved the upgrade path with an XP to Windows 7 migration tool. However, licensing agreements for Windows 7 could be a bigger problem if your boss doesn't invest in Windows 7 before April 23, 2010, after which businesses will lose the ability to temporarily downgrade to XP from Windows 7 while prepping for migration. Considering these headaches and uncertainties, it's a wonder more businesses aren't tempted to wipe the slate clean and embrace a version of Linux with a Windows feel, or completely change direction with a jump into the cool waters of Appledom. But businesses are big on Windows because of legacy issues, employee familiarity, and the widespread adoption of Windows in general. That's good news for Microsoft, and the company is likely looking forward to starting fresh and burying the heavily criticized Windows Vista. Analysts at IDC (which is also owned by PC World parent company IDG) have released a survey saying Windows 7 will push Vista out of the way almost immediately. As of 2010, 49.5 percent of enterprise purchases for Microsoft operating systems will be Windows 7, with Vista fading quickly to 15 percent, while XP will still be going strong at 35 percent of all Microsoft operating system purchases toward the end of next year. 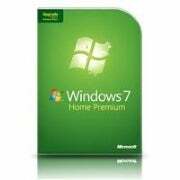 By 2011, Windows 7 will get even stronger with 75 percent of business Microsoft OS purchases. But that may not be such a rosy picture if a new survey is to be believed from the network administration firm ScriptLogic. Six in ten companies will not be making the switch to Windows 7, according to a ScriptLogic survey cited by Reuters. The main issues the businesses cite for not switching are financial constraints and compatibility issues with custom-designed software for XP and other systems. By 2010, only 34 percent of businesses will have Windows 7 installed and ready to go across their systems, ScriptLogic says. Thirty-nine percent of respondents unwilling to switch over are citing compatibility concerns, and that's despite the fact that Windows 7 will come with an XP virtual machine for custom made software. ScriptLogic's survey was admittedly small with a sampling of "more than a thousand" out of 20,000 surveys sent out. Microsoft has big plans to deploy Windows 7 on every computing device imaginable, but whether the new OS will be well received by businesses is still unclear as predictions change every few months. So, what's going on at your office? Are plans in the works to switch over to Windows 7 when it comes out in October, or are you sticking with XP or Vista?